Get instant updates on shipbuilding, contracts, technology, legal issues, and business innovations- organized for mobile users. Take advantage of both the online news resources and the print publication, in one application. Customize your information by choosing one or more categories: People & Company News, Shipbuilding, Offshore, Finance, Government Update, Education/Training, Casualties, and Logistics. One touch brings you the latest business news- and check out the blogs for insightful commentary from industry experts and analysts. The application also offers users full access to the print publication archives of Maritime Professional Magazine, with in-depth articles, interviews, and features in a simple, legible format. 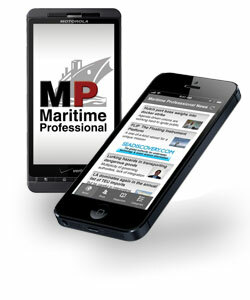 The Maritime Professional app is developed and maintained by Maritime Activity Reports, the publishers of Maritime Reporter and Engineering News, MarineNews, and Marine Technology Reporter.